Below you can view all the homes for sale in the Lake Capri subdivision located in Conyers Georgia. Listings in Lake Capri are updated daily from data we receive from the Atlanta multiple listing service. To learn more about any of these homes or to receive custom notifications when a new property is listed for sale in Lake Capri, give us a call at 404-998-4195. Lovely 4 Side Brick Ranch Featuring Formal Dining, Beautiful Kitchen With Granite And Tile Back Splash, Great Room With Brick Fireplace, Spacious Master, Secondary Bedrooms Share A Jack And Jill Bath, Large Deck Overlooking Lush, Private Back Yard. 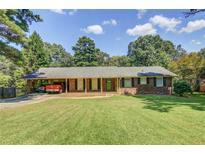 MLS#6534768. Southern Classic Realtors. Great Floorplan, Loads Of Storage, Fireplace Never Used. Newer Roof. 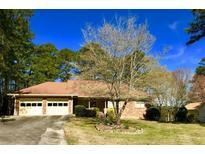 MLS#8549465. Solid Source Realty Ga.
Great Floorplan, Loads Of Storage, Fireplace Never Used. Newer Roof. MLS#6524418. 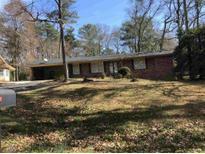 Solid Source Realty Ga, Llc..
4 Sided Brick Ranch On Partial Basement With Hardwoods. MLS#8538005. Realty Professionals. Current Roof Was Installed In 2017 MLS#6515105. Realty Professionals, Inc..
A Perfect Opportunity For Investors Or First Home Buyers. MLS#6101489. Virtual Properties Realty.Com.